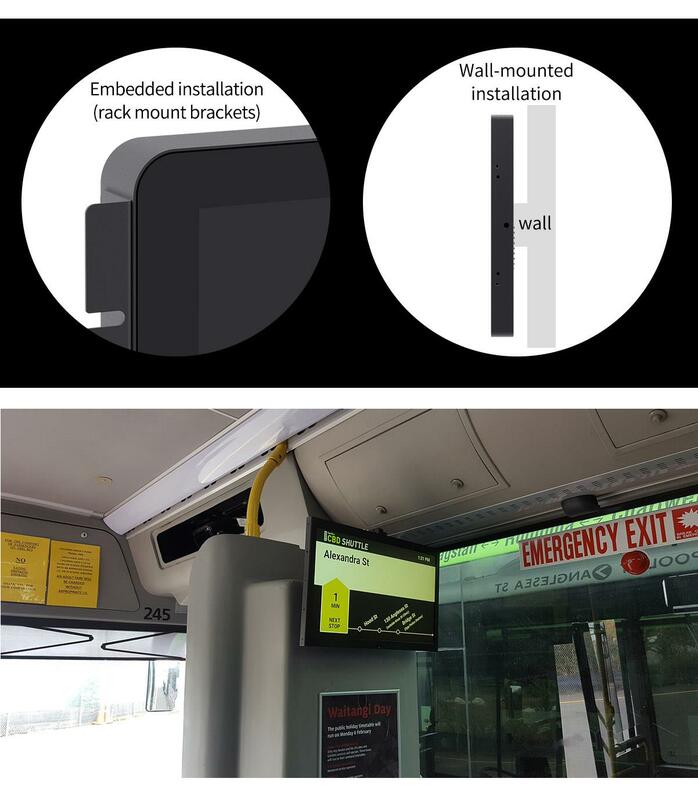 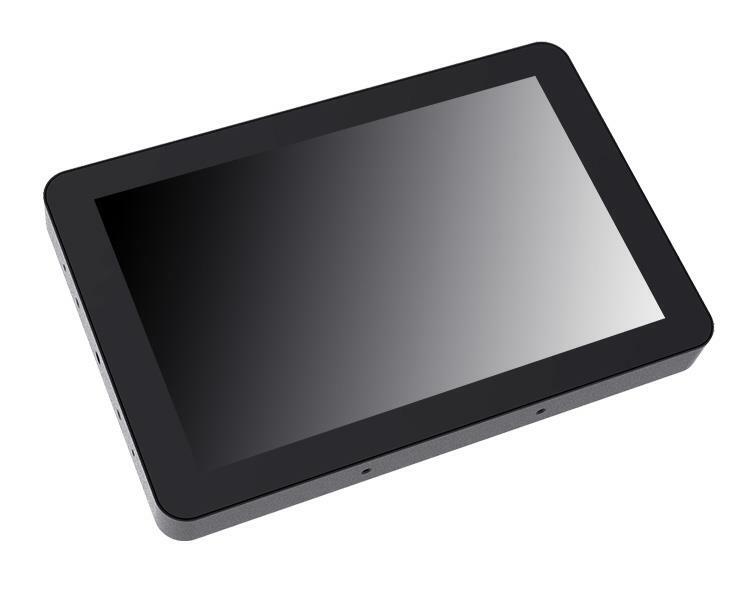 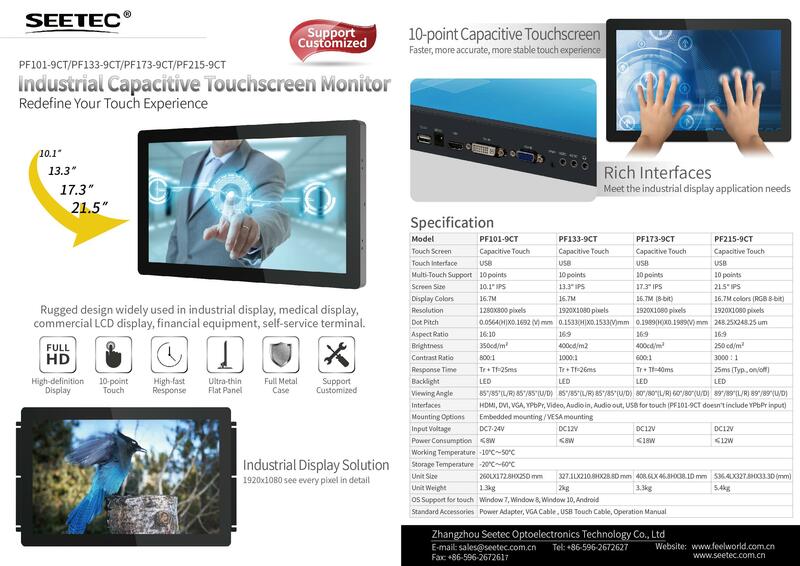 FEELWORLD industrial capacitive touchscreen monitor with rugged metal frame, flat LCD panel design, compact structure, durable, with impact resistance, anti-interference, heat dissipation and other advantages, meeting the embedded or external installation needs simultaneously. Its several top features along with superior engineering make these open frame monitors as ideal solutions for high quality displays. 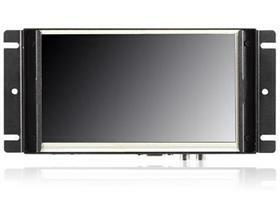 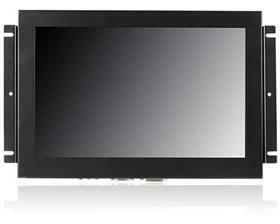 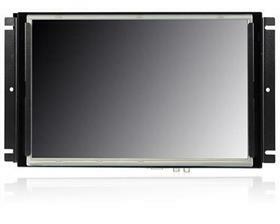 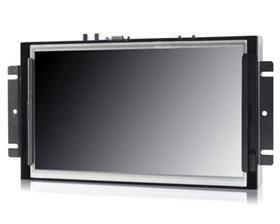 The capacitive touch screen is equipped with 10 point touch, fast, accurate and smooth touch experience. 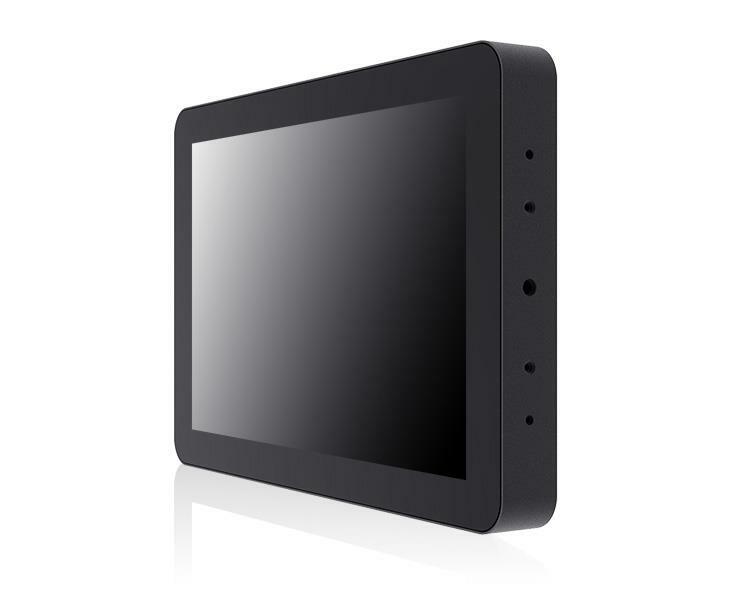 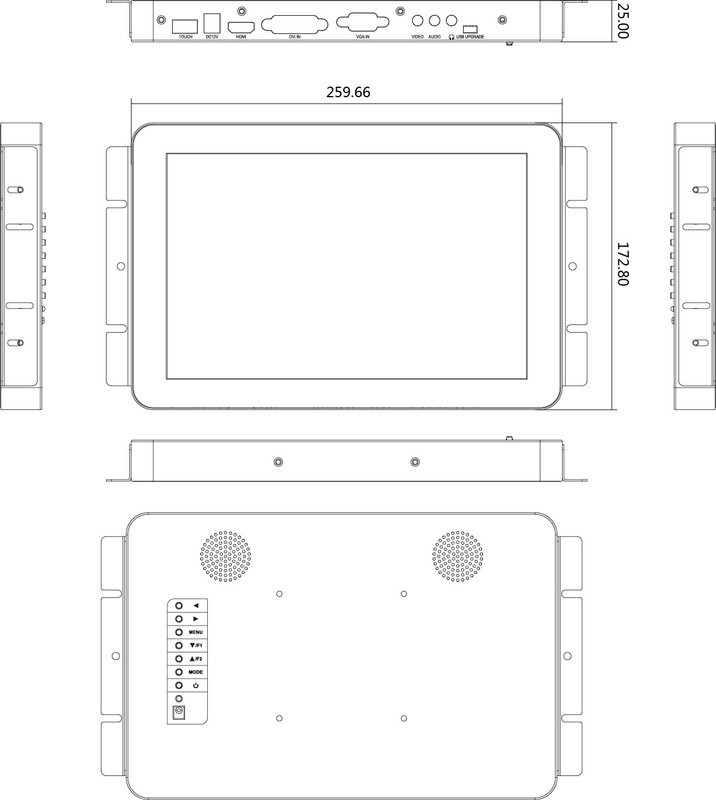 It is widely used in industrial display, medical display, commercial LCD display, financial equipment, self-service terminal. 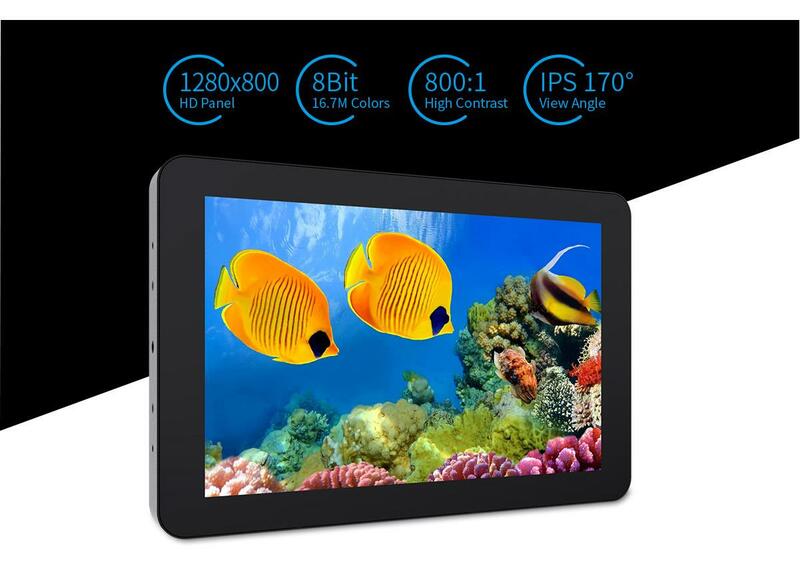 Industrial high-definition LCD screen, 1280x800 HD resolution, the image is clear and natural; at the same time with low power consumption, long-time operation ability, can adapt to almost all of harsh environment. 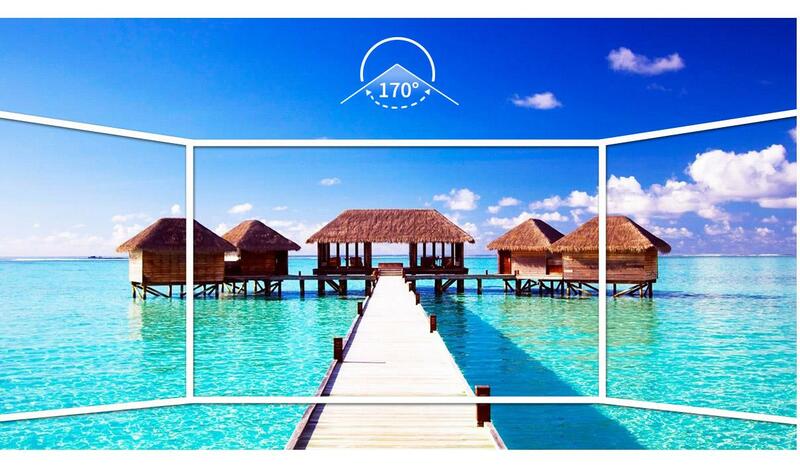 High Quality: no brightened dot, no streaking 170° Wider View Angle: enjoy consistent images from any perspective More Precise Color Restoration: wide color gamut LCD panel ensure the monitor more precise color restoration exquisite picture quality more rich color levels. 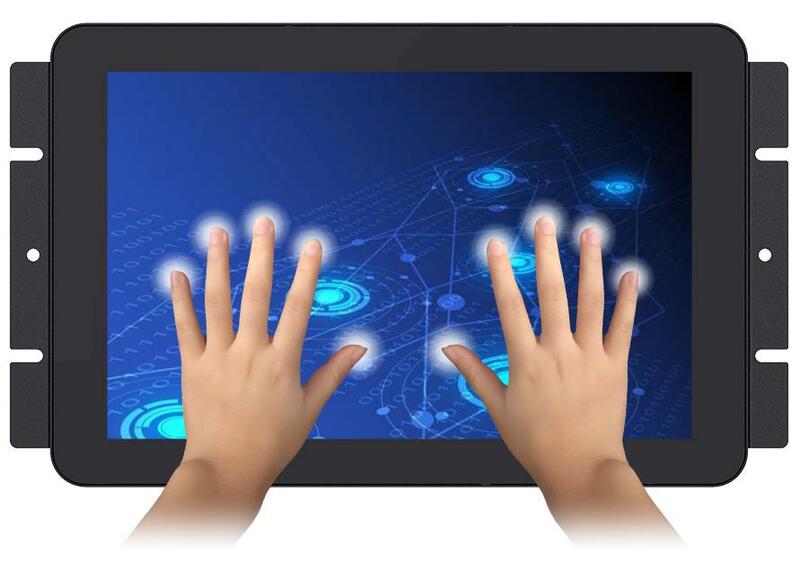 FEELWORLD using the 10 point projected capacitive touch technology, the glass surface smooth touch, give you an impeccable fast touch experience. 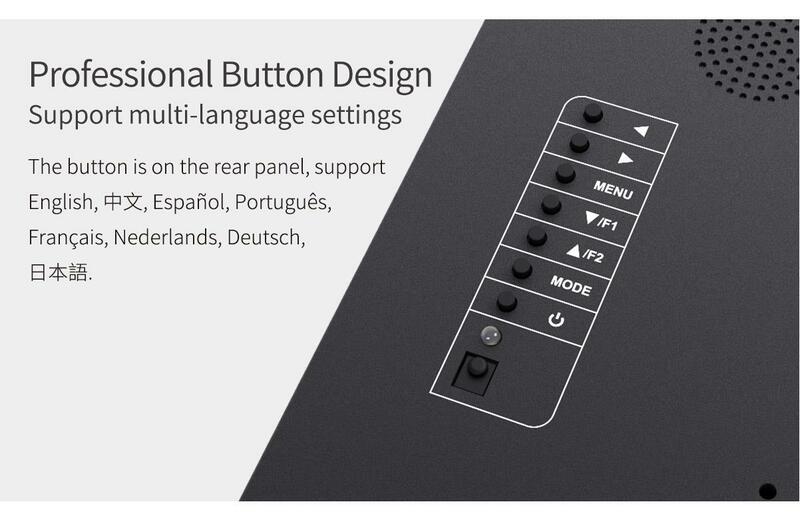 Only need one time calibration to improves touch accuracy, no dead end touch, no break, drift, when you write on it, you can hardly feel any delay or deviation. 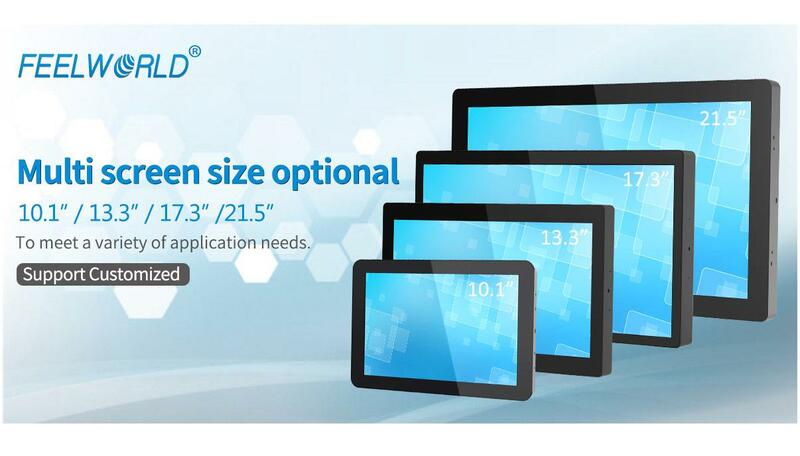 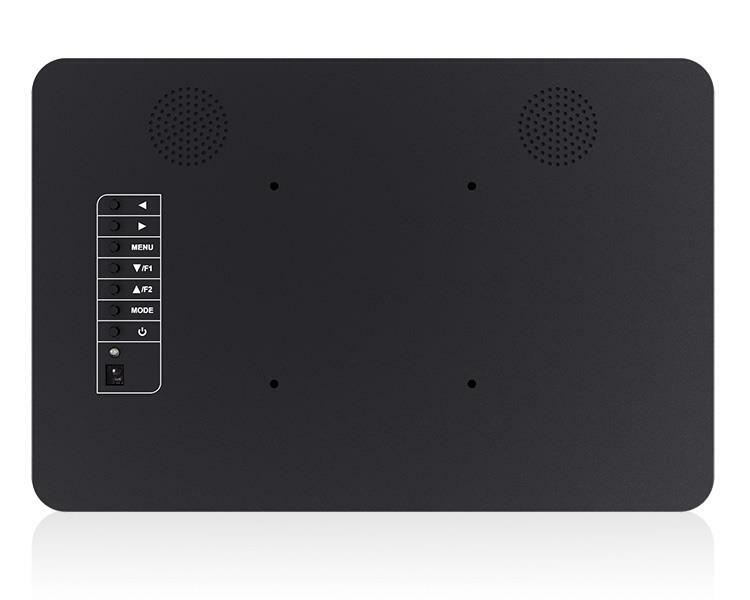 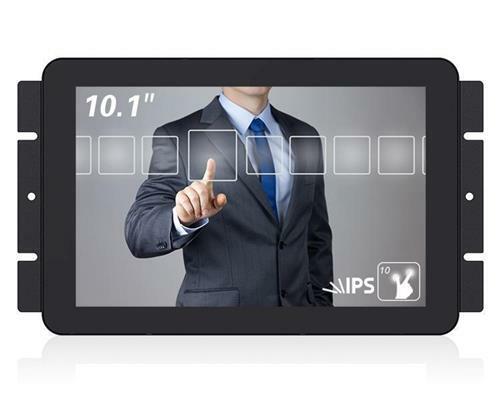 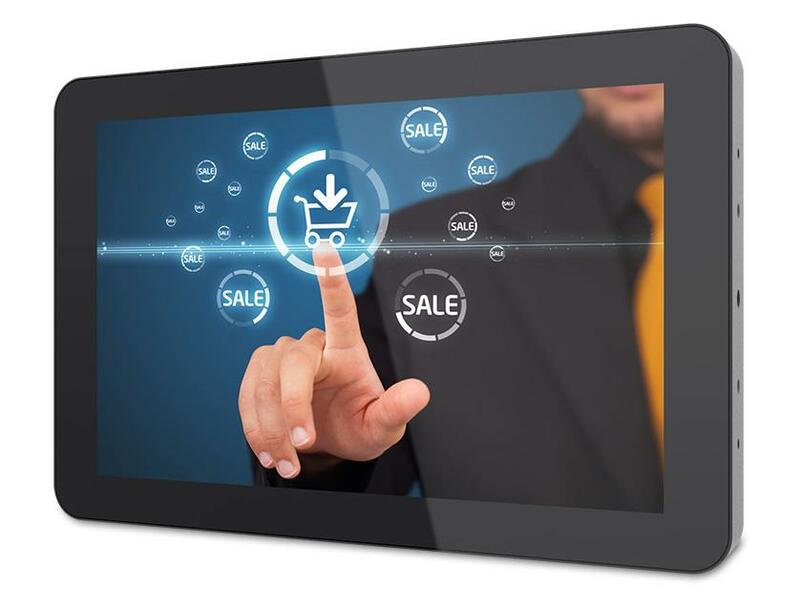 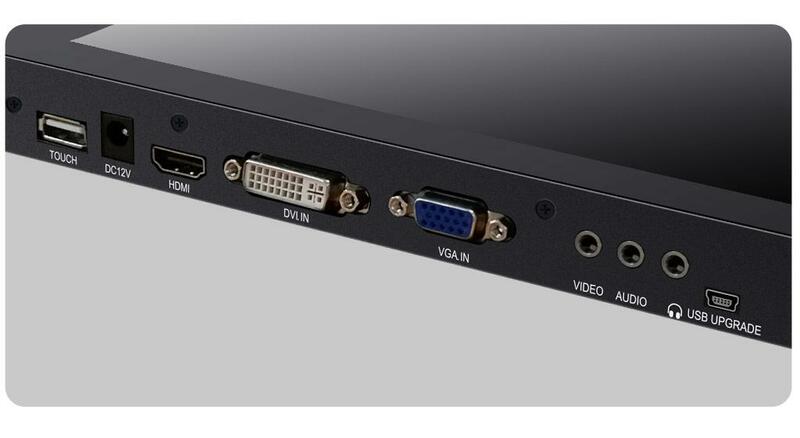 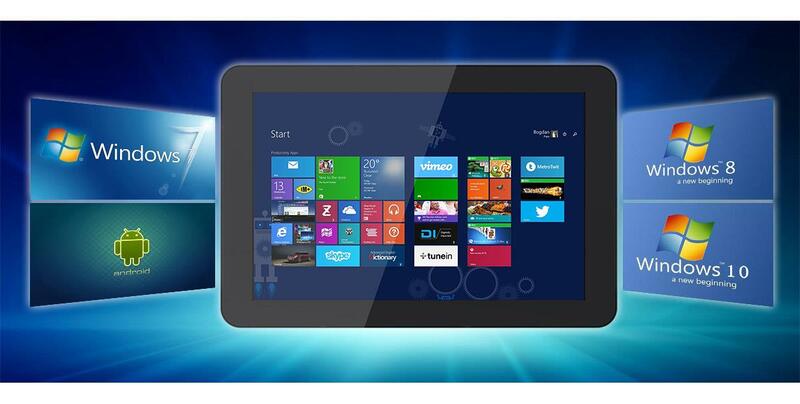 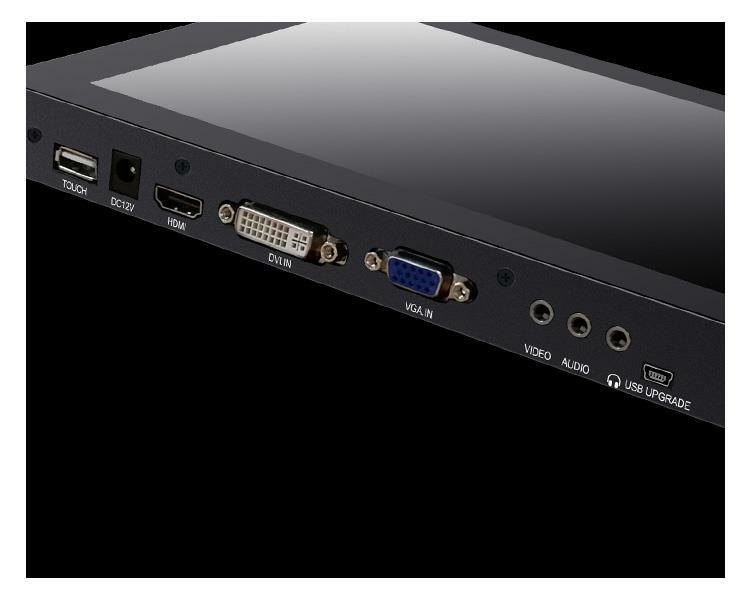 Support Windows 7 / Windows 8 / Windows 10 / Android operating systems, greatly enhanced the versatility of the terminal, for industrial, medical, hotel, and other industry display, meet the interactive touch demand. 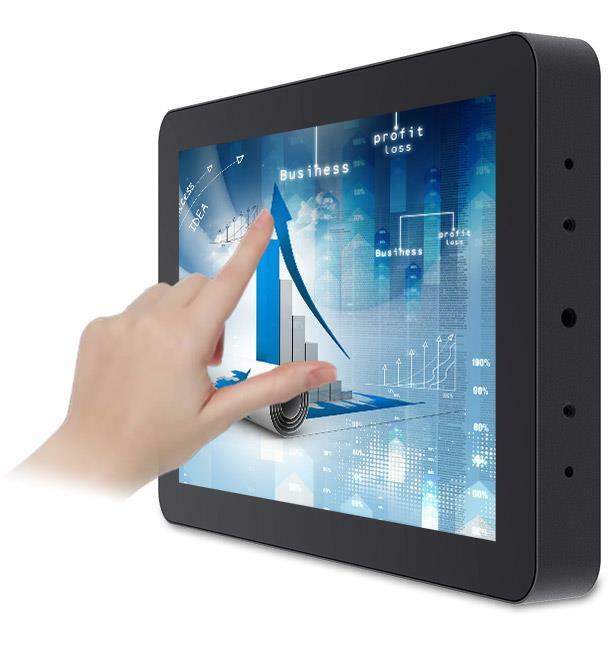 Interactive touch display, flat slim design, coupled with circular streamline shape, no sharp edges, ergonomic design, simple and elegant. 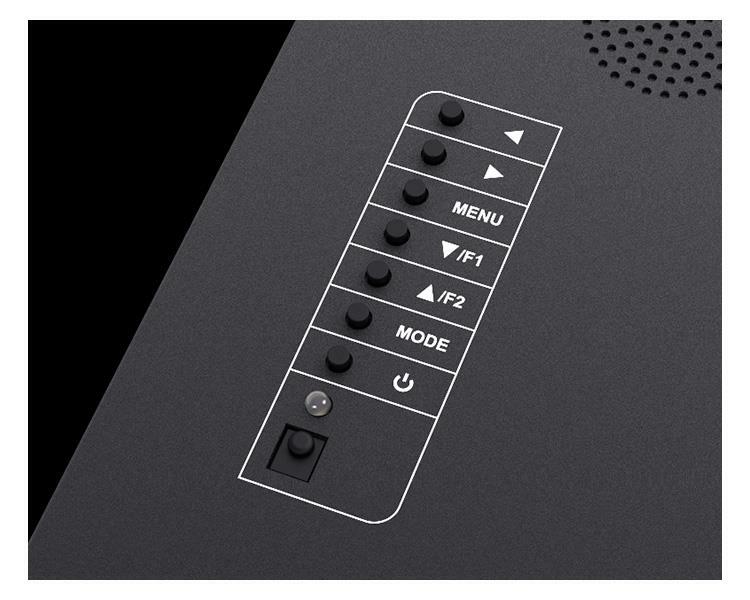 Not only equipped with USB (for touch), DC12V power, HDMI, VGA, VIDEO, AUDIO input interfaces, also equipped with 3.5mm stereo headphone output and speakers. 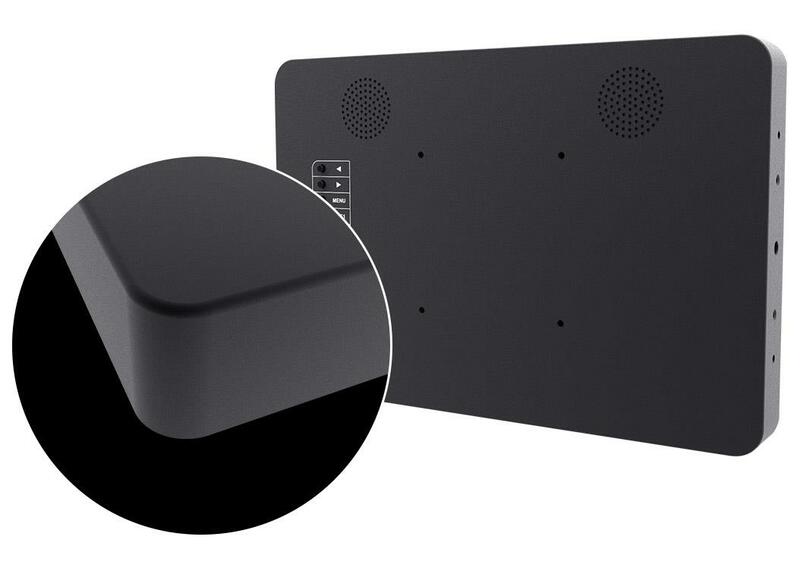 All metal shell, compact, durable, designed for all kinds of industrial needs, impact resistance, anti-interference, heat fast, to adapt to a variety of harsh working environment. 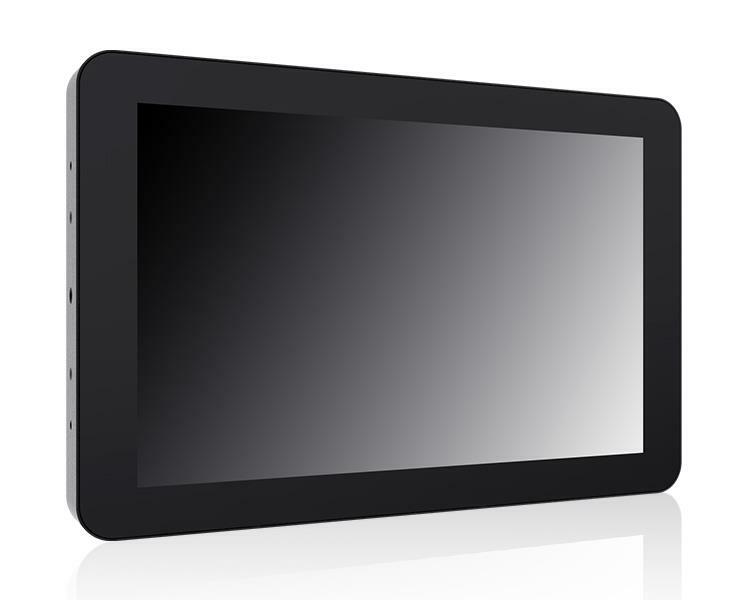 Metal narrow frame design, rounded corners, exquisite design. 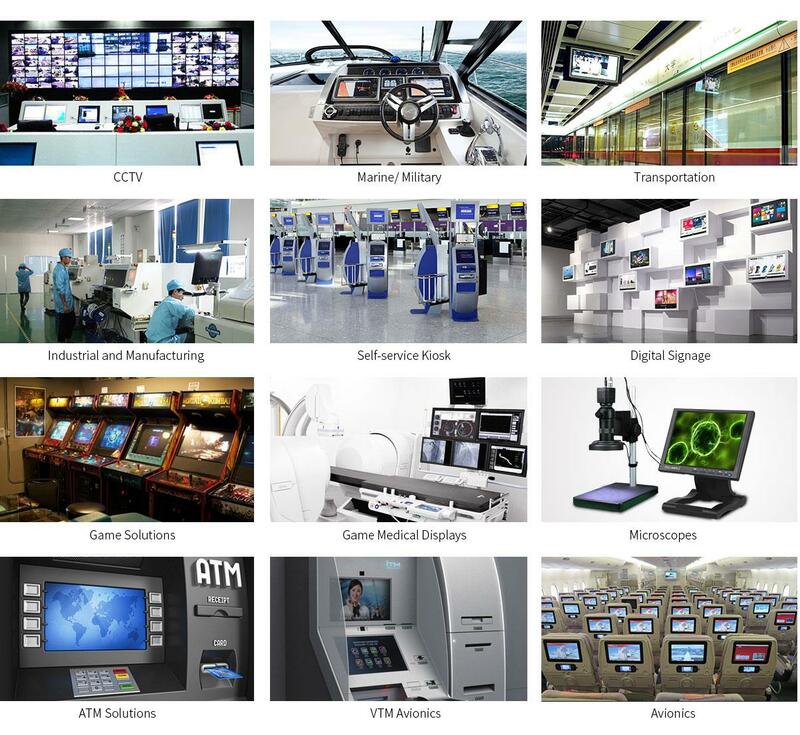 Widely used in industrial display, industrial control, medical equipment, military field, fire equipment, car display, video conferencing systems, entertainment and leisure, business self-help, financial institutions, query equipment and other fields, and also applies to harsh environments.